Was born in Purworejo, Center Java, Indonesia. I grew up in Magetan, East Java. I have my university degree majoring Informatics Engineering from Brawijaya University, Malang. 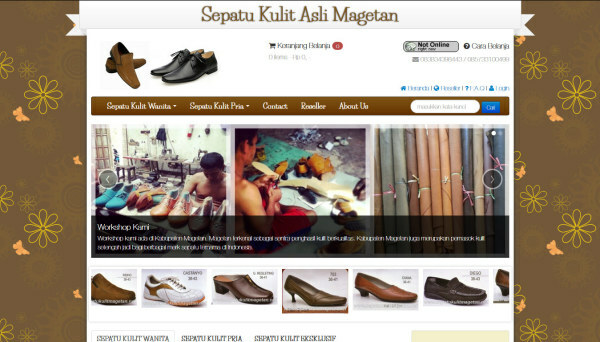 In 2013, I designed and programmed an E-commerce website Sepatu Kulit Asli Magetan to promote the home industry producing genuine handmade leather shoes in Magetan. In 2014, I joined PT. 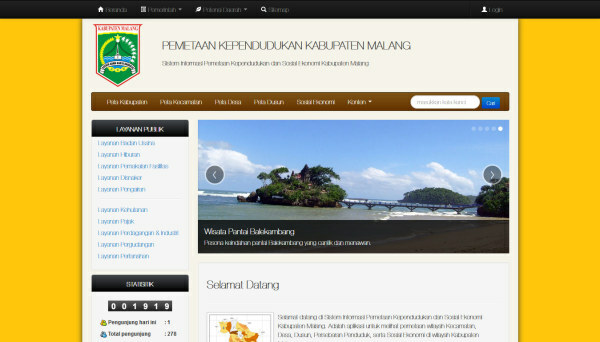 Cendana Teknika Utama Malang and I have produced many excellent websites such as Serba Oleh-Oleh and many applications for PT. 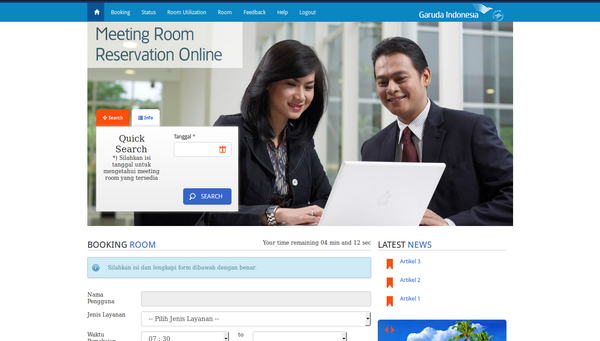 Garuda Indonesia Tbk. 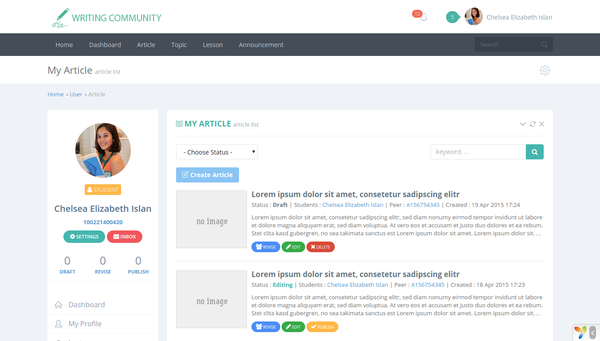 I am currently developing a website application using Yii Framework 2.0, Codeigniter 3.0, and Drupal 7. 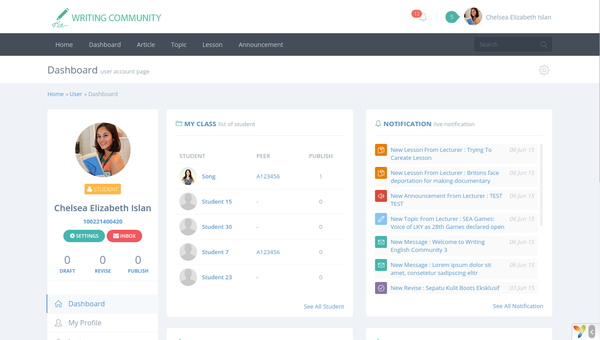 I also have a big interest in developing website application using Laravel and AngularJS. With my 3 year experience as a professional programmer, I have completed more than 10 projects. 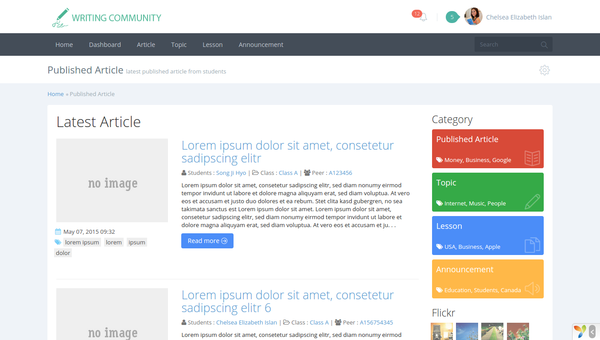 Besides my passion in programming, I am also fond of writing article for a blog. Web applications are very much popular for its convenience for the clients in using web browser. 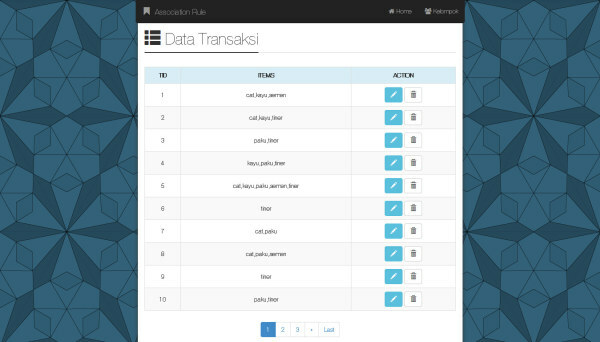 I am excited to develop customized applications that fit the need of your company. 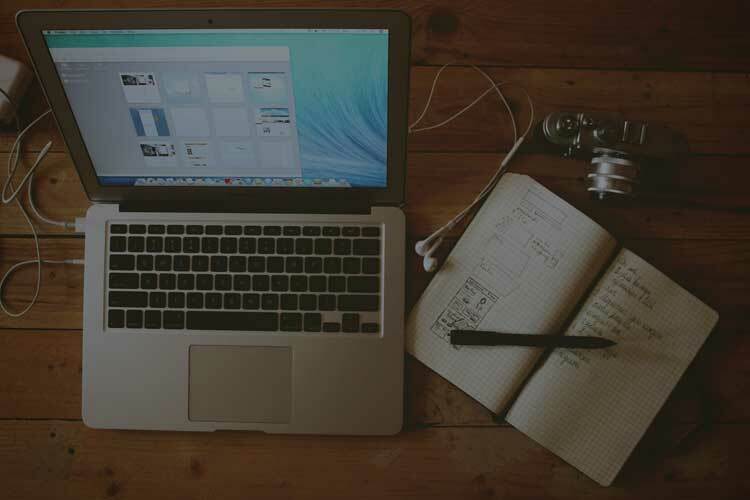 Using up to date technology, the web development is for you to customize and to serve every client’s unique need. I am also well experienced in implementing Search Engine Optimization (SEO) techniques. Search Engine Optimization (SEO) techniques are applied to all of my web projects starting from the design to the coding phase to assure your web page staying on top. 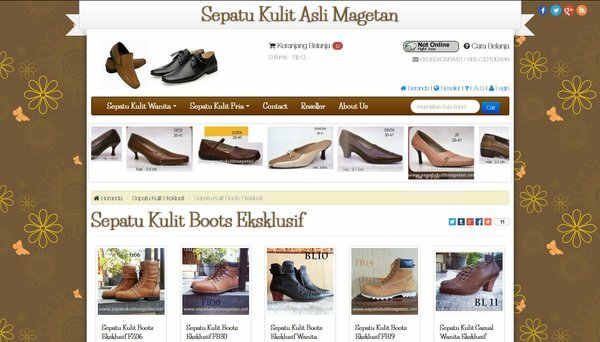 E-commerce website Sepatu Kulit Asli Magetan provides various models of genuine leather handmade shoes for women and gents. 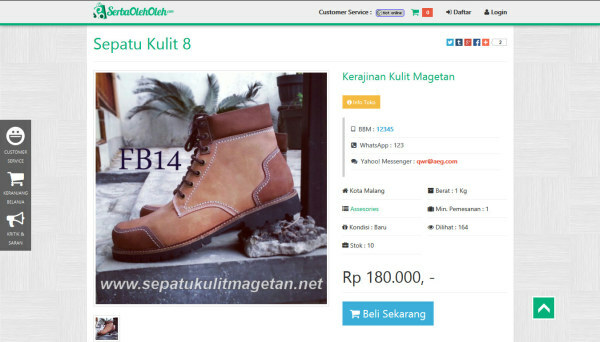 Original handmade leather shoes from Magetan. 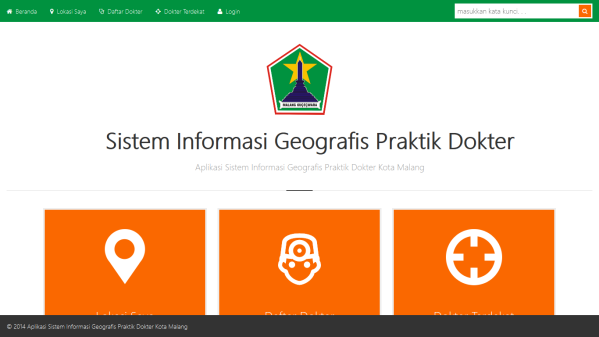 Doctor Service Geographic Information System Application. 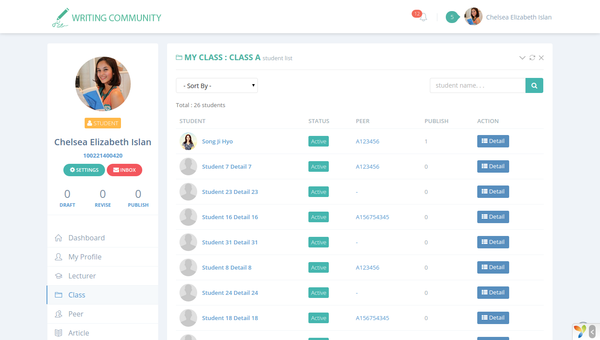 This application is established using Geolocation API technology and Responsive Web Design technique. 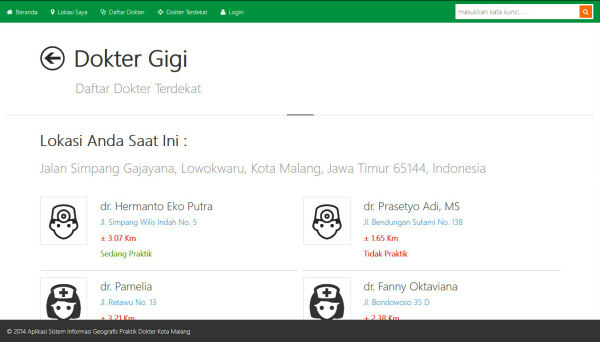 It helps users to find the nearest doctor service from the current location. 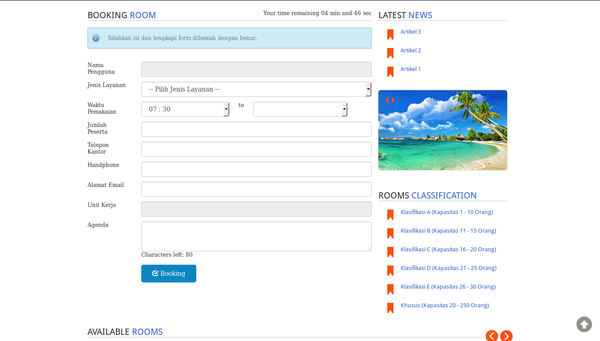 The RWD technique allows the application to be easily accessed through various devices (desktop/mobile). 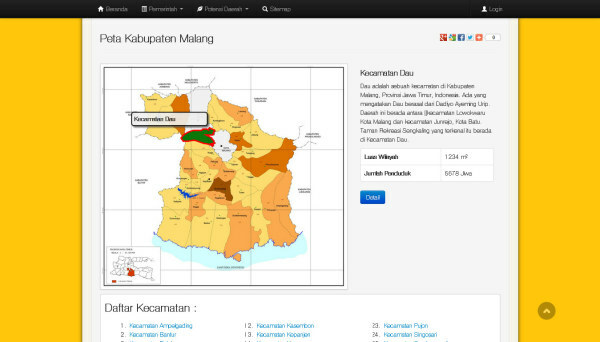 Population Mapping Application of Malang Regency. 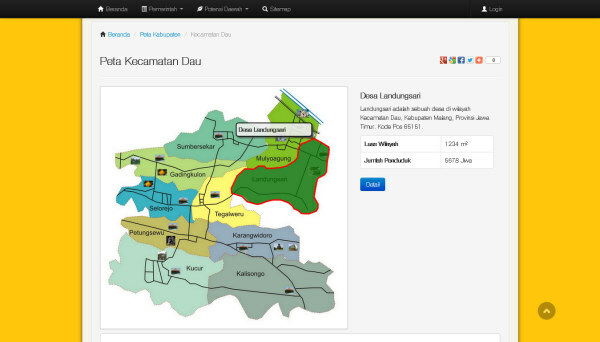 It shows the map of the region covering districts, sub-districts, village, and neighborhoods in Malang Regency. It displays the map of the residence in every neighborhoods, completed with the list of the householders as well as the data about the social economic state of each family. 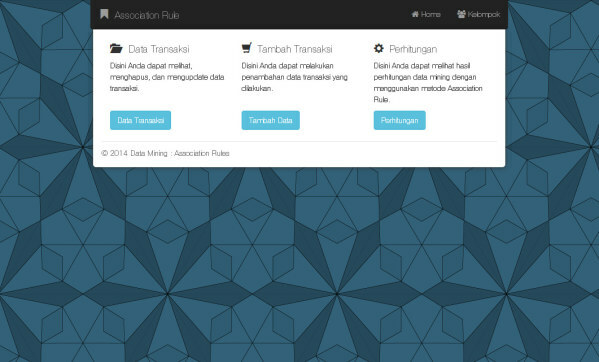 The Application of Data Mining Association Rules Method. 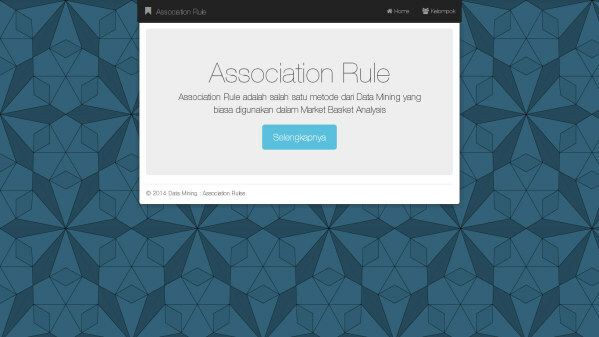 The application provides recommendations of certain decision using Association Rules method. It is commonly used for Market Basket Analysis. Application of Early Detection of Asperger Syndrome in Children. 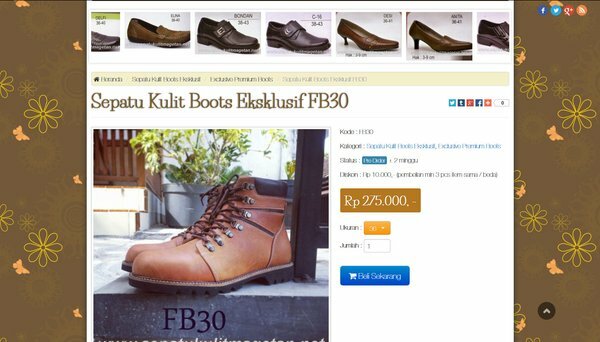 The application is developed using Naïve Bayes method. 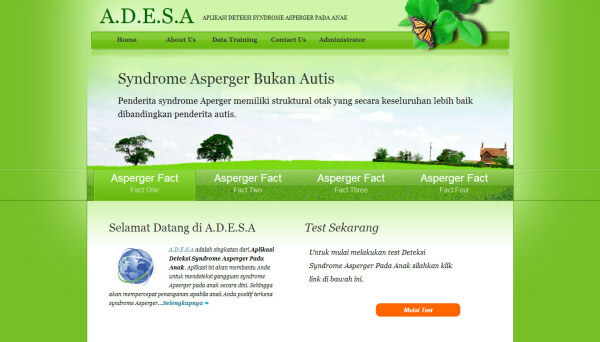 It allows the user to get the diagnosis of Asperger Syndrome symptoms in children. This application is useful for parents to detect earlier the presence of the syndrome in children. Market Place Nusantara Souvenir Center. 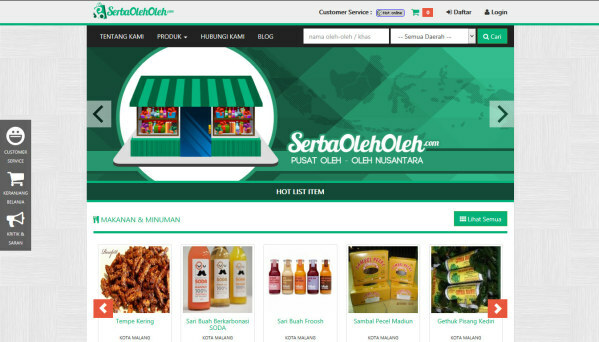 It is where customers meet sellers to buy food and souvenir from any place throughout Indonesia. 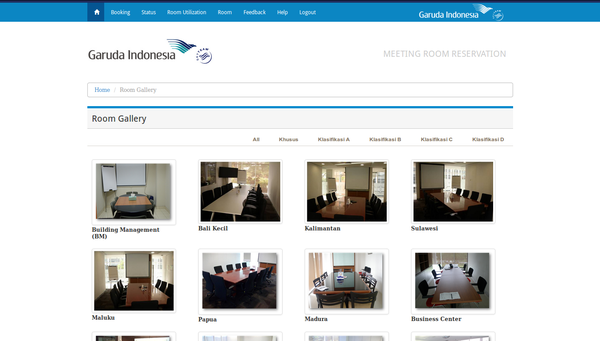 Meeting Room Booking System Management Application in central office of PT. Garuda Indonesia Tbk, Cengkarang-Banten. An easy access to book meeting rooms at certain place and time. 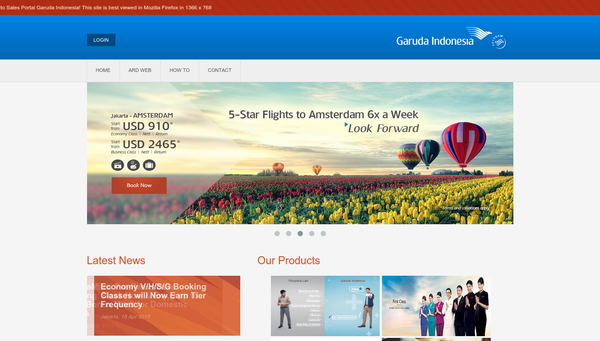 Sales Portal Application for users and travel agents of Garuda Indonesia. 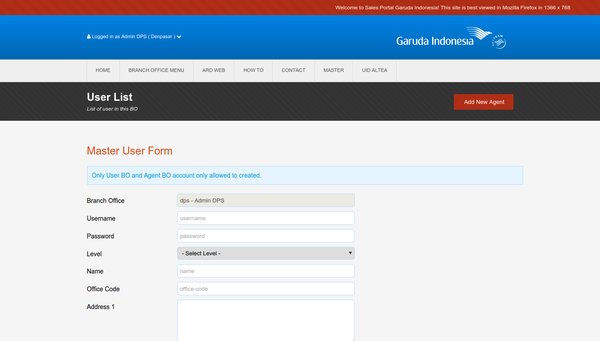 This application is implemented in every branch office of PT. 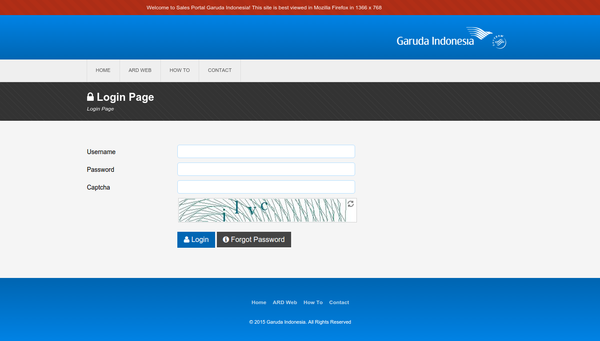 Garuda Indonesia Tbk throughout Indonesia. I would be delighted to get in touch with you and your organization. Just contact me even for just say hi or want to discuss about your project or your idea. I hope it worth your time. Copyright © 2019 Fery Code All rights reserved.